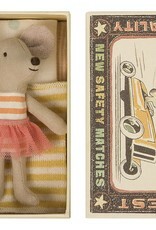 Little Sister is jazzed up in her orange striped outfit and pink tutu! 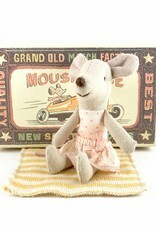 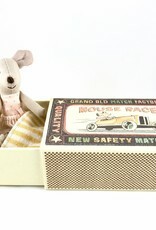 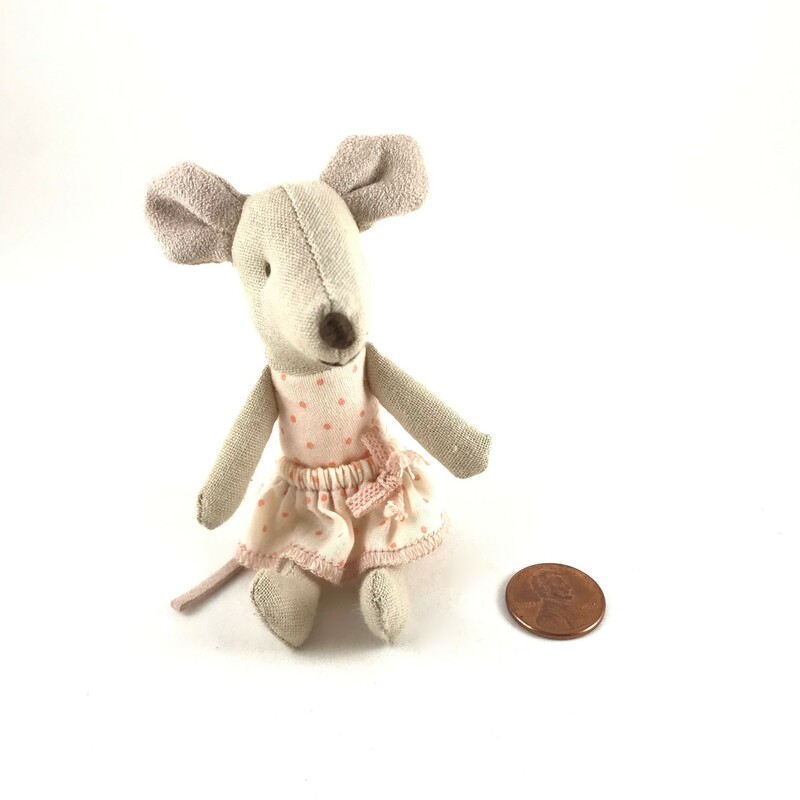 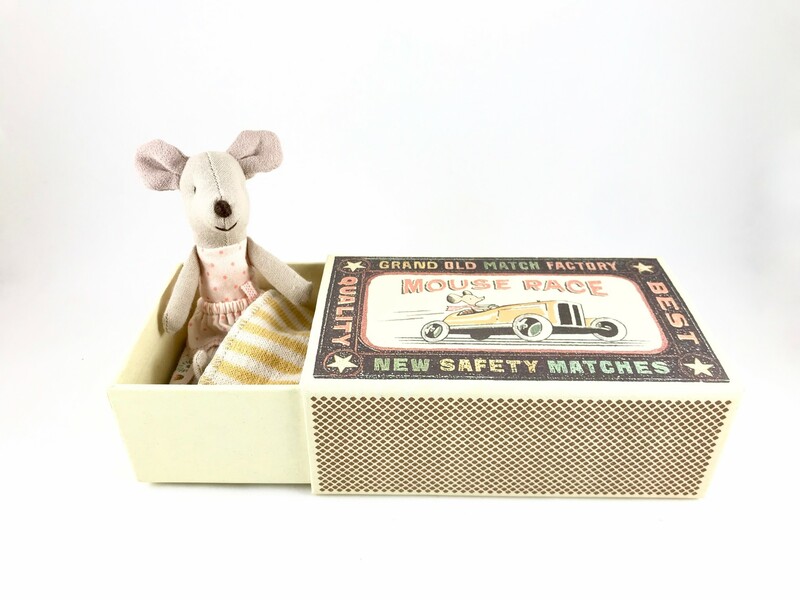 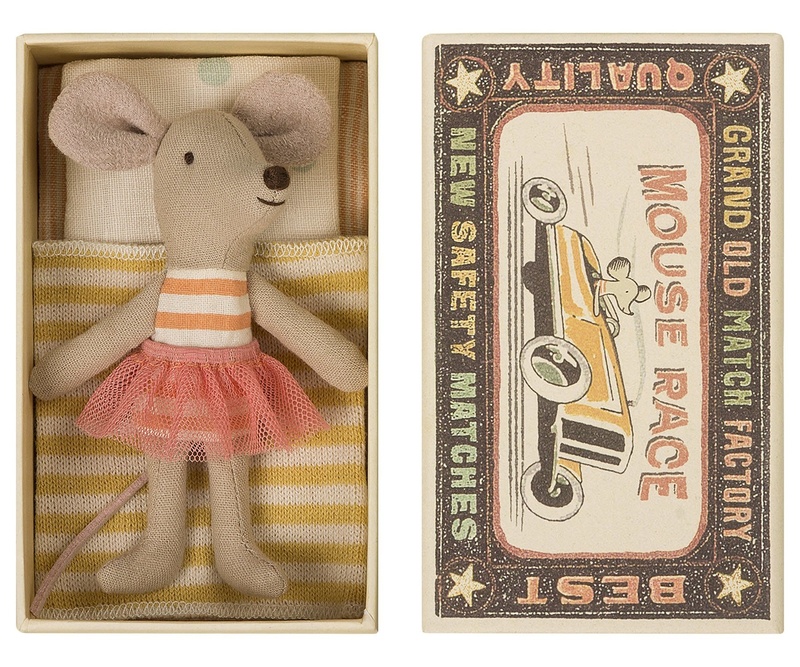 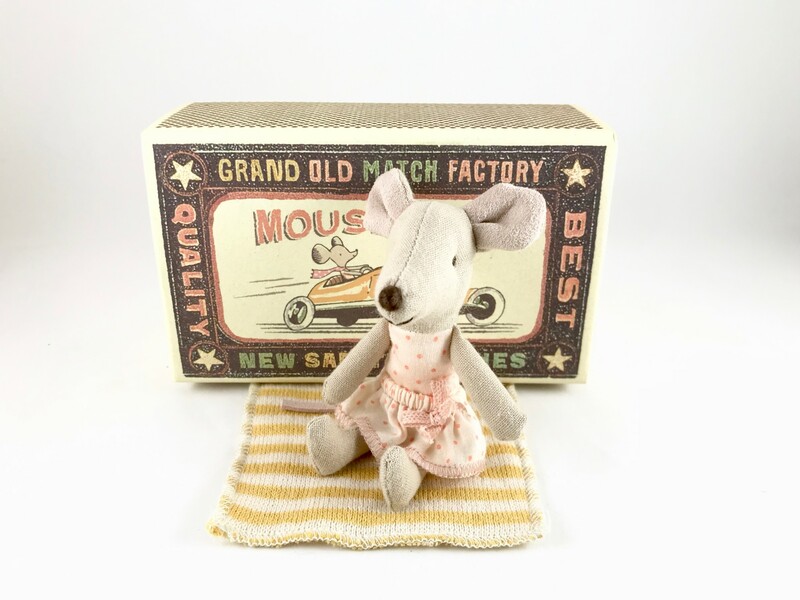 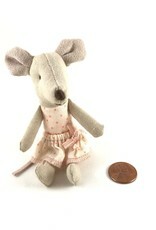 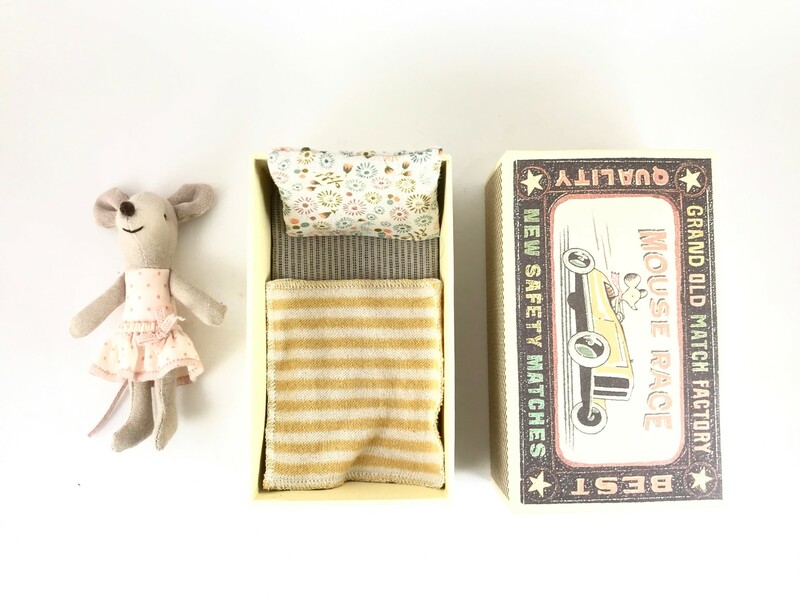 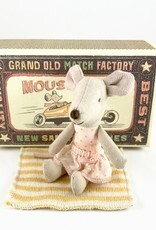 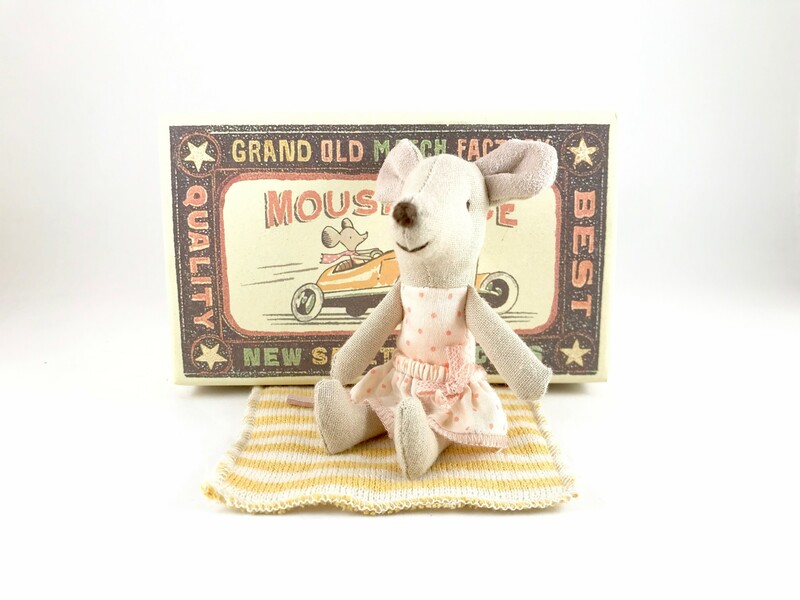 Set of a lovely mouse doll and a matching match box filled with colorful bedding. 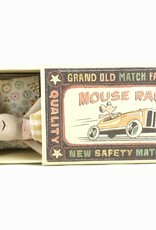 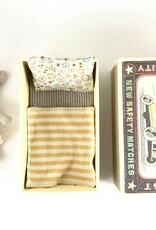 The match box is decorated with whimsical illustration and made with sturdy card board. 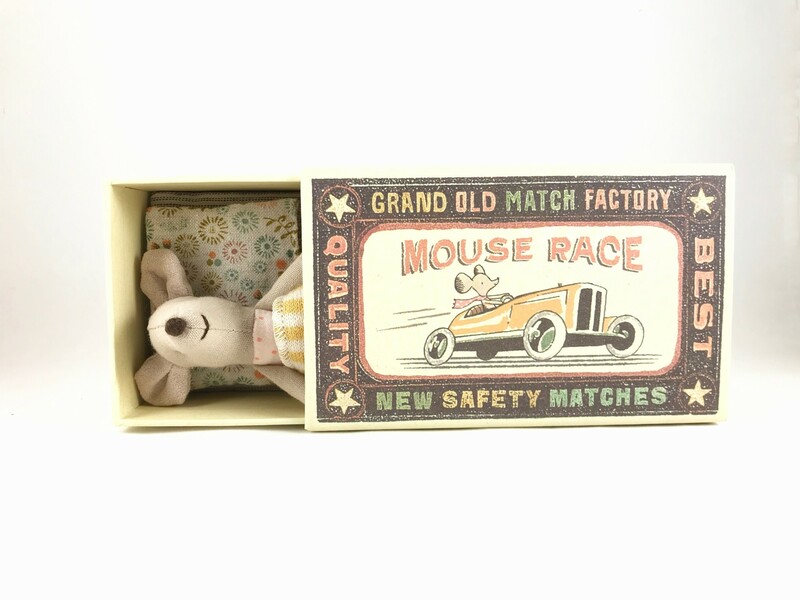 Comes with a set of bedding for the mouse's sweet dream.